Radioline is one of the most used mobile apps when it comes to following radio stations and podcasts from all over the world. 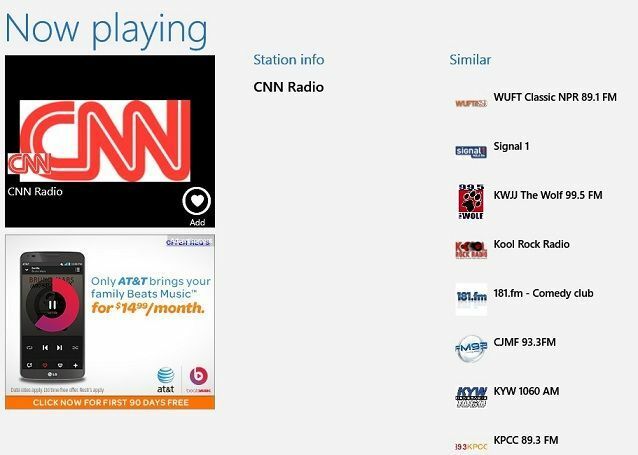 Now, it has landed in the Windows Store for Windows 8 and Windows 8.1 users with more than 35,000 radio stations. Previously, we have shared tips and advices on how you can to listen to Internet Radio in Windows 8 by using apps and the Windows Media Player; and we’ve also shared with you the Radio+ app. 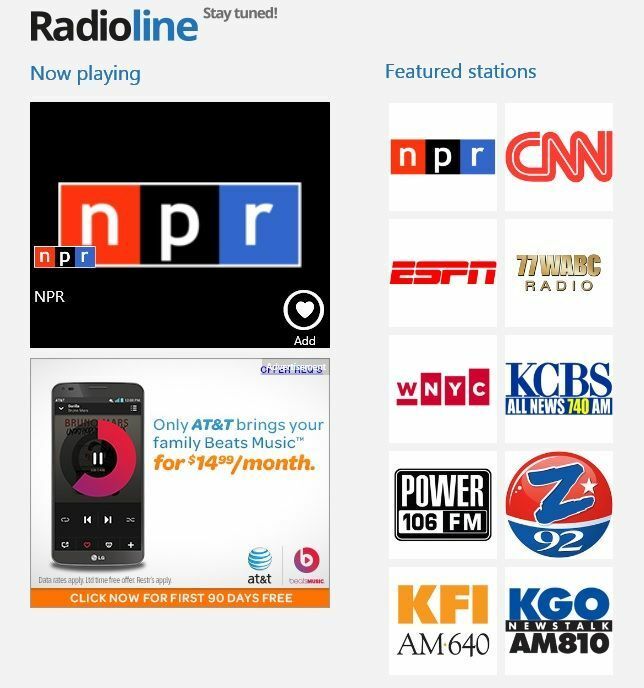 Radioline now launches for Windows 8 and brings a lot of radio stations and podcasts that you can enjoy from your tablet or desktop device. Radioline is a carefully chosen name, as it makes you think that its name is “Radionline”. The app has a size of only one megabyte, so you won’t even notice its presence on your storage space. Radioline gives you free access to more than 35,000 News, Sports, Talk, Music radio stations and podcasts worldwide in just one application! The app is free to download but the single annoying thing are the advertisements from inside the app. However, if you have handpicked your favorite radio stations or podcasts, you won’t even have to open the app at all, as you will be interested just in listening. I’ve tried the search function and discovered that it returned really fast some local radio stations from my town which was really impressive. 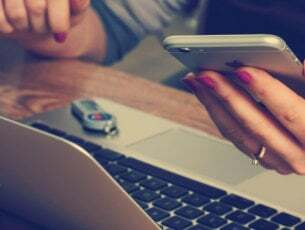 After all, there are more than 35,000 local and international radios stations and podcasts available, so there are big chances that you will find yours, as well. After finding them, you can then save them or look further by musical taste or location. I’ve tried the app on my Windows 8 tablet, as well, and the quality of the radio stations was irreproachable. Therefore, I gladly recommend Radioline for Windows 8 to anybody interested in listening to a high quality radio stream.